Conor McGregor has revealed he is very close to confirming his return to the UFC octagon, with a fight set to be scheduled for later this year in Las Vegas. 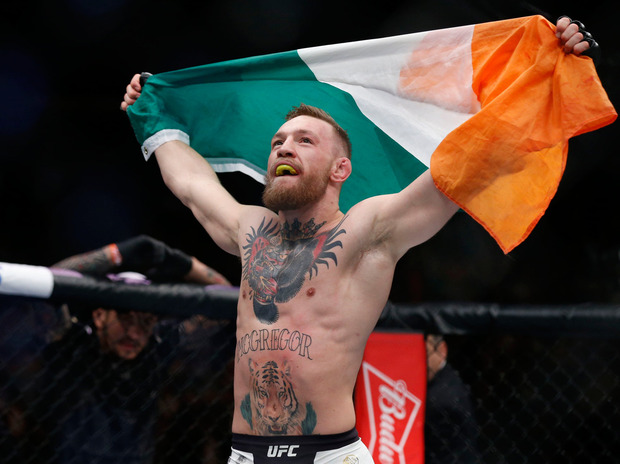 Dubliner McGregor has not fought in the UFC since his victory against Eddie Alvarez in November 2016, with his lucrative boxing match against Floyd Mayweather last year his most recent sporting appearance. McGregor avoided a jail sentence last week after he plead guilty to disorderly conduct for his role in an April melee with his UFC rivals, and talks over his return to the sport have stepped up amid suggestions that a showdown with rival Khabib Nurmagomedov is under discussion. "Very close. It’s not official, but we’re close," said McGregor when asked about his planned comeback by TMZ. When asked whether he expected to fight at some point in 2018 he responded: "I believe so, I hope so. I’d love to fight in New York again, but I believe this one is in Las Vegas." Meanwhile, Nurmagomedov's manager Ali Abdelaziz told MMA Fighting that his client will expect a big pay-day if he is to step into the octagon with McGregor. "We will get a deal done," Abdelaziz said. "I’m not gonna overplay my hand and they need to be fair. There’s no way in hell Nate Diaz can make more money than Khabib. There’s no way in hell. Nurmagomedov is the undefeated, undisputed lightweight champion of he world. That’s it."